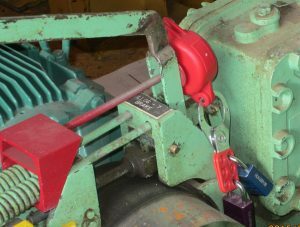 Lockout Tagout - F.A.S.T. Rescue Inc. Upon completion of our training, participants will know the legal requirements for lockout and tagging, the devices to use, the steps to take, and the kinds of equipment typically involved. Course Content: Understand lockout and tagging in the Occupational Health and Safety Act and Regulations, lockout and tag planning, electrical, hydraulic, pneumatic, and steam systems, gravity, momentum, and stored mechanical energy, lockout devices and applications, lockout procedures.